Collecting detailed contact information from potential leads just got easier! 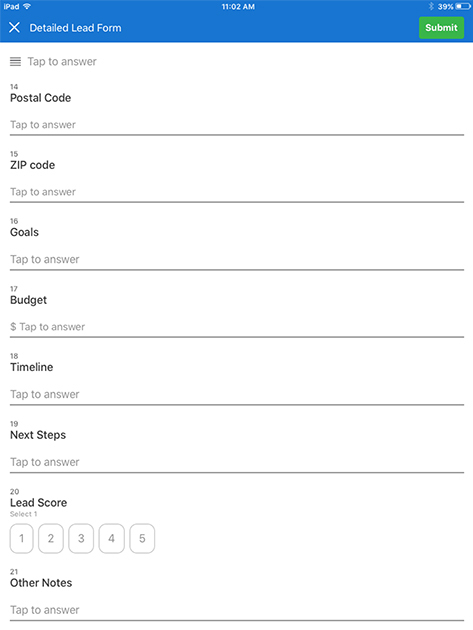 Stop using cumbersome pen and paper, and switch to QuickTapSurvey, the App Store's #1 survey application. 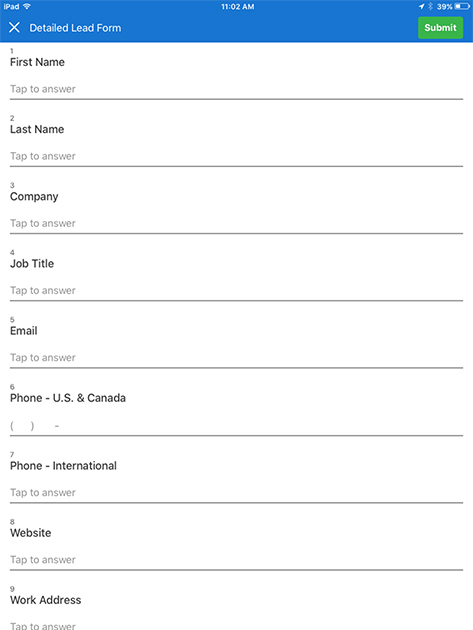 Customizable lead form surveys like this example are fast and effortless to build. 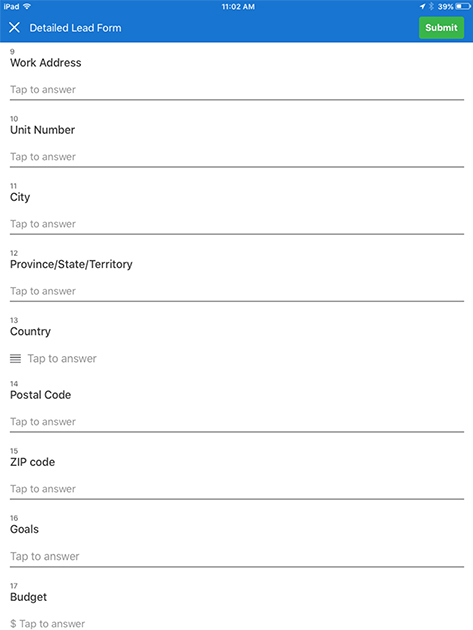 Your lead capture form responses can be collected on any kiosk or mobile device (Android or iOS) without an internet connection! Use an Android tablet or iPad to collect your lead data in person, or create a survey kiosk using an iPad kiosk stand and collect and sync data remotely anywhere in the world. Collect information anywhere and view your data in real-time online on the QuickTapSurvey web app. Collect contact information and project details from your leads anywhere. Sync data from your iPad or Android tablet to the QuickTapSurvey web app, and use our analytics and reporting tools to view your data and act on your results. Create beautiful and professional reports to share with your team, and download your survey data in a variety of different file formats, including CSV and Excel. At an event or trade show, it's important to collect the contact information of qualified leads so that you can follow up with them later. Instead of having them leave their business card or filling out a paper and pencil contact card, consider having an iPad or tablet at your booth and use our app to take a photo of your lead's business card or lanyard. Our product will allow you to follow up promptly with all of your leads to keep the conversation going. Start your free trial today and gain access to this lead capture form template and our other pre-made templates.